When you watch a David O. Russell film, you know what to expect. This is a good thing. He's a talented director who sticks to what he knows best. Rapid fire, whip smart dialogue, solid casting, and off the wall plot descriptions are Russell trademarks. If you've seen Three Kings (1999) and I Heart Huckabees (2004), you know what I'm talking about. He gets the most out of his actors. It seems as though the camera is always peeking in on them. Scenes in his movies get drawn out, taking to the extreme. But I like it. The rawness of Russell's film making fascinates me. 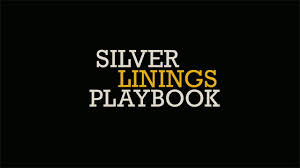 Up for multiple Oscars at last year's Academy Awards, we get "Silver Linings Playbook" (2012). This is Russell's ode to the city of Philadelphia. We get Bradley Cooper as Pat, a mental patient (former school teacher) who gets out of the hospital early and goes to live with his parents in the outskirts of Philly. His dad is Pat Sr. played by Robert De Niro. Pat Sr. is a huge Eagles fan who has been kicked out of Lincoln Financial Field for getting into fights during the games. Then there's Pat's loving mother Delores played by Jackie Weaver. She goes to pick up Pat and his buddy (played by Chris Tucker) at the hospital with the help of the courts giving him permission to leave a little early. While trying to get his life back together (he lost his wife, his house, and his job), Pat meets Tiffany (Jennifer Lawrence), a young woman with similar pain in her life. The two meet and form a beautiful relationship. Listen, I cant dive too much into the story so I'm just gonna say that the whole film comes down to a bet involving a dance contest and an Philadelphia Eagles/Dallas Cowboys game. Silver Linings Playbook is a feel good film with a few rough edges. It shows that even though every family has problems and a certain level of dysfunctionality, they love each other regardless. I like the relationship and the dynamic between Copper's character and his parents. I also adore Jennifer Lawrence as Tiffany. Almost every performance in this film is solid, but Lawrence just plain hits it out of the park. Somehow, she is able to out act De Niro, Weaver, and Cooper all in the same scene. In her early twenties, she's got one heck of a career ahead of her. All in all, Silver Linings Playbook is not a perfect film. It leaves behind a couple of loose ends with the characters. The Chris Tucker character and the brother of Cooper's character don't really have a lot to do. You don't know what their motivation is because they fade in and out of the film. Then there is the script. 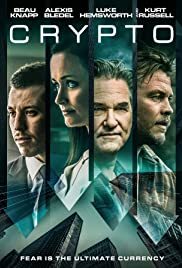 Like I said, the acting is terrific, but you get the sense that the actors just run out of things to say so they improvise to the point where it's not needed. Yes, I do like Russell's style of directing, but this is what keeps "Sliver Linings Playbook" from being a bonified 4 star movie. However, when the film is over, you feel invigorated and it has the power to get someone to see it multiple times. That's why I'm recommended it highly. It reminded me of the 2006 film Little Miss Sunshine. That was a another feel good vehicle with similar themes and nuances. One thing to notice when watching Silver Linings Playbook, is why the heck does Bradley Cooper always wears a trash bag when he's running. Oh, and be on the lookout for Jackie Weaver's varied facial expressions throughout the proceedings. Priceless.